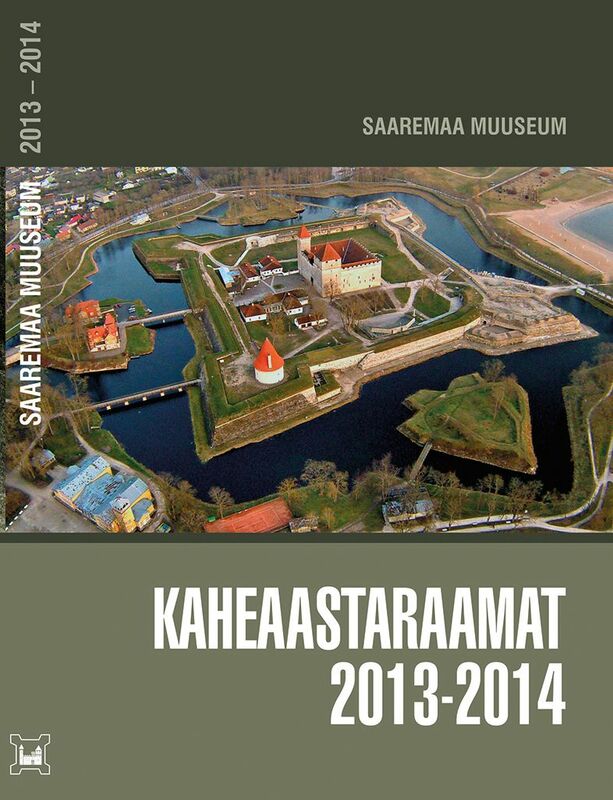 SAAREMAA MUSEUM > To researchers > Publications > Saaremaa Muuseum. Kaheaastaraamat 2013–2014. Kuressaare 2015. 245 pp. There was an important turning point in the history of Saaremaa and Kuressaare in 1834 when the Kuressaare fortress was abolished and its ordnance and other military equipment were handed over to the Bomarsund fortress. We will look at that new fortress closer in the article. Starting from 1789 there were pivotal changes in Europe. In 1808–09 Russia, the then Napoléon’s ally, fought with Sweden in the Baltic Sea area. Close to the new border between the two countries, Russia planned a new fortress, which later came to be known after its new name, Bomarsund. The fortification works made according to the tenailled fortification system were interrupted in 1818. A new plan was drawn up under the leadership of Emperor Nicholas I in 1828, now built according to the polygonal fortification system. As the Tallinn’s Fort of Kalarand (later known as the Patarei (i. e. Battery prison) and also the Kronstadt’s Fort of Paul I had similarities with Bomarsund, its builder may have been one and the same person, in all likelihood from St Petersburg. Building work went ahead in 1830 and in 1834 the outdated Kuressaare and Pärnu fortresses that remained farther away from the new boundary were closed down. The most important part of the fortress was the main fort that was put up in the years 1832–44. Its main part was of elliptical shape with the longest diameter measuring about 300 meters, including two-storied defence barracks with 116 cannon, being the biggest structure in the Åland Islands of all time. Besides, the fort had two houses for the officers, and a three-story, horse-shoe shaped caponier, which was the réduit (citadel) of the whole fortress. The main fortress accommodated about 2,500 persons and it made up the southeast part of the fortified area of about 1.1 km across. The fortified area was the living quarters of about 5,000 persons. That circular rampart of three kilometres in length also had defence stores, a defence hospital and six artillery positions for a total of about 230 cannon. Of these, only one artillery tower was actually built in the period 1847–51. The fortified area protected also the port, but it did not have facilities for the repair and building of ships. In the southern part of area lay the New Skarpans garrison town which had, beside living quarters, also shops, workshops, a post office, a pharmacy and a market. As early as in 1810 Old Skarpans had mushroomed up outside the fortified area, and suburbs of the fortress inhabitants lay to the west from it. On the island of Prästö there was a hospital area, Orthodox, Jewish, Islamic, Lutheran and Roman Catholic cemeteries and about 50 cottages. Seven more auxiliary forts with about 150 cannons were planned to be built in the neighbourhood, but only the main towers of two forts were completed – in Prästö in 1843–45 and on the peninsula of Notvik in 1844–47. In terms of military capacity, civic building and social communication of the Bomarsund fortified area and the Prästö and Skarpans garrison towns together with about 8000 persons was certainly quite an outstanding association. In autumn 1853 the Turkish–Russian War broke out. In spring 1854 also France and Great Britain entered the war on the Turkish side. The main military activity took place starting from 1854 in the Crimea, from which the war received its best known name – the Crimean War. In the Baltic Sea the British–French joint fleet blocked the Åland Islands at the end of June. On August 8 the infantry and artillery landed, on 13 August fire was opened against the fortifications and on August 15 the commander of the fortress capitulated. What seemed to be unconquerable was conquered within four days with a great shock for the Russians. As a result, they later gave up most of their detached fortifications on the coast of the Gulf of Finland, which could not to be supported by the infantry and which the allies could easily attack. The conquered area was offered to Sweden, but it preserved its neutrality in the war. The allies blasted the preserved fortifications on September 2, 1854. The town of Skarpans was abandoned, and by the Paris peace treaty of 1856 any military activity was forbidden on the Åland Islands. Ruins of the fortifications first started to be protected in 1905, in 1936 they were declared a memorial and in 1999 the territory was put under preservation. Further information, investigation and conservation work would jointly treat similar fortifications both in the Åland Islands as well as in Finland, Russia and Estonia and also possible “counter fortifications” in Sweden. The art of building has always been a very changing phenomenon both in time and in space. Different composition and the variety of types of walls and their patterns can create quite a different picture from one and the same object at different times. Types of wall and their patterns are like a human language that tells the history of a building. This is an important source of information both for the historians as well as to all other interested parties. In the course of restoration work carried out during the period from 2010 to 2015 it was possible to have a close opportunity of getting to know the technical building peculiarities of the Kuressaare Castle. The studies showed that the appearance of the Kuressaare Castle had been very different in each period of time and not just because of its architectural form. Only by relying on the types of walls and their patterns alone, it is possible to clearly see the difference which of them date back to the Middle Ages, and which to the Danish, Swedish or the Russian periods. In case of this medieval castle we can see two periods of different appearances. The convent house, the building of which began in the first third of the 14th century and was completed towards the end of the century along with the first circular wall, was a thoroughly built dolomite structure. Due to its heavy, monochrome grey and its massive cube-shaped volume it must have been a really impressive scene – a visual symbol of force and supremacy! By the building of the new circular wall that began in the next century created a totally different picture. The almost fully plastered cream-coloured wall of granite stones surrounding the significantly larger territory no longer left such a ponderous, closed impression. At least the painted and perhaps even decorated walls in the vicinity of the main gate rather spoke about the owner’s wealth. In all likelihood earthen fortifications started to be built in the 16th century and the medieval castle became a fortress. During the Danish period also the first outer walls of the bastions and curtains were erected. Today, the outer wall of the southeast curtain is seen the best. The very thin walls broken at a considerable slant were rather the lining of the embankment than independent defence structures. In fact, because of the great slant of the wall they could only be built after the embankment. In the course of the building work during the Swedish period in the second half of the 17th century, the Kuressaare Castle received more or less the structure and appearance that it has today. The bastions, curtains and ravelins were surrounded with massive, regularly built granite walls that were very accurately processed and set with a lining of dolomite blocks. The walls speak about carefully planned and very high quality building work, to which the Northern War and blasting of the fortress in 1711 put an end. At the closure of the 18th century, already during the Russian rule, reconstruction of the fortress that had been standing for centuries without any active use was resumed. The very chaotic bricklaying, fluctuation of the building line, use of accidental and low quality material and randomly picked wall patterns refer to hurry and perhaps also the well-known Russian come to nought mentality. Concrete is a material which people are accustomed to connect with mainly new architecture. This article will view the use of concrete from a somewhat unaccustomed angle, namely its role in the restoration of the Estonian historical building legacy. Treating the restoration of various objects in this country through time, the article will try to sketch a wider picture, where in addition to the uses of concrete also a change of attitudes and restoration theory points of view would be sketched out. The way in which concrete has been used in a historical building, correlates well with the general attitudes and conservational understandings of the original and of new additions. Thus we can say that the restoration work of the late 19th century and the first decades of the 20th century characterizes pragmatism, where concrete was seen as a new, good and strong material in the strengthening of buildings. Starting from the 1930s it is possible to clearly anticipate the tendency where concrete additions to a historical building are deliberately left exposed, thus manifesting the modernist understanding of restoration, which clearly demands the new parts’ clear separation from the original substance. In Estonia such a tendency achieved its culmination in the late 1969s, being best observed in architect Rein Zobel’s restoration projects. Starting from the late 1970s such a radical attempt of separation contracts and particularly in the 1980s it is possible to speak about indications of Postmodernism where the new constructive additions were hidden behind empty layers of wooden, stone or stucco decorations. In the 21st century we can notice return to modernist solutions that appreciate concrete ethics, although modern conservation does not hurry to propagate any single truths. Of the rest of the objects the article views in somewhat closer detail use of concrete in the recent restoration work at the Kuressaare Castle, and its causes and theoretical basis is explained. In the introduction to the article a brief overview is given of the European methods used in the previous century in the putting into order ruined built memorials, including Romanticism, Stylism or stylish restoration, the analythic or the archaeological methods and anastilosis or the conservation of a built memorial in ruins. There will be a brief stop on analogical activity on Estonian territories of Tsarist Russia and in the Republic of Estonia that followed it: the Hermann fortress in Narva, the main tower of the Paide castle, the ruins of the Rakvere and Karksi castle, the Kuressaare fortress, the Padise fortified monastery and the ruins of the Pirita Convent. There is a brief overview of the intensive restoration and conservation activity after World War, mainly led by the Scientific Restoration Workshop established in 1950. The main attention in the article has been turned at the restoration of the Kuressaare castle and fortress and its adaptation for the Saaremaa Museum in 1968–85 as well as the bureaucracy connected with it. There is a brief stop on the research of the period and its biggest shortcomings are pointed out: 1) The planners of the research work lacked a concrete plan, where and for what building archaeology works should be carried out in the castle; 2) as one of the first Estonian stronghold methods of exact sciences as well as physics and biology (dendrochronology, radio carbon etc.) were applied, but in this case there were too many human errors and subjective interpretations; 3) also the measurements of the different parts of buildings and place soundings were too fragmentary and inaccurate measurements of different building parts were too fragmentary and inaccurate and as a result the restoration decisions made on their basis were not sufficiently justified and subjective. There is a brief overview on the activity of the Baltic German architects Wilhelm Neumann, Hermann Seuberlich and the interior designer Otto von Moeller in the restoration of broken or destroyed parts of the stronghold in the early years of the 20th century (1904–12) and their non-finished or only partly realised proposals were handed over by the architect Kalvi Aluve who administered restoration work during the Soviet period. To a small extent also restoration and conservation activity outside the convent house is treated (cannon tower on the North Bastion, the northwest wall of the third approach and the section between the South and West towers as well as on the walls of the fortress and in the moat). Summing it up, the restoration activity under K. Aluve’s leadership can be qualified as stylistic restoration with elements of the analytic method. The last decade of the previous century ended the period when the conservation and restoration of the Kuressaare fortress was a centrally organised activity. In the years that followed the Saaremaa Museum organized repair and restoration work by means smaller projects. The only major undertaking was emptying of the moats and tidying of the grounds in 1999–2001 in a joint project with the Finnish Environment Ministry and the City of Kuressaare. In connection with Estonia’s entry into the European Union and opening of the opportunities of the European Union’s structural funds new outlooks and new sources of financing appeared and the direction was one again taken at large-scale restoration of the Kuressaare fortress. Bearing this objective in mind a development plan of the Kuressaare fortress was drawn up in 2003–2004, in 2005 field studies took place and the drawings of the restoration works were completed in the following year. In May 2009 the Saaremaa Museum filed to Enterprise Estonia the draft of a project for the financing of the measure “Development of country-wide cultural and tourist sites”. Enterprise Estonia satisfied the application of the Museum by its decision No. 1 of 1.1-5.1/09/2370 on 17 September 2009. The project for which the application was filed was titled “Development of Saaremaa Museum as a Tourist Site” and it consisted of seven activities of which the biggest one was conservation and restoration of the fortress. * Disintegration of the walls of the fortress and the embankment was stopped, so that in the next couple of decades no serious problems should be developed with them. * The fortress is visually considerably more attractive and its fortification historical peculiarity is better exhibited. * Several new areas and structures within the castle and around it, which had been earlier closed for technical reasons, have been opened. * The infrastructure of the museum has been put into order, which created better opportunities both for the daily work and reception of visitors as well as for the organization of various events in the castle grounds. Regardless of the fact that the conservation and restoration work had been carried out at different times bearing in mind different principles and that even in the framework of the current project work done in different parts of the fortress it has still been possible to create a visual and aesthetic whole. Transitions from granite to dolomite or the other way round are sufficiently fluent and in logical places. The embankment joins all the walls into one whole. Side by side with restoration work there was a possibility to thoroughly study the fortress. The results of the investigation work have been summed up in a monograph that reflects the history of the castle. In addition to the monograph all the restoration and investigation reports have been recorded in reports of which 14 volumes will have been accumulated by the end of the project. The article discusses five late medieval reliefs in the former chapel of the Kuressaare Castle, depicting the insignia and coats of arms of high ecclesiastics. Three of them (Fig. 1), located in the North-West wall, belong together, depicting from left to right: a) episcopal insignia and the coat of arms of Bishop Johannes IV Kievel (r. 1515–1527), b) the eagle of St John the Evangelist – the symbol of the Saare–Lääne (Ger. Ösel–Wiek) Bishopric, and c) episcopal insignia and the coat of arms of Bishop Johannes III Orgas (r. 1492–1515). The reliefs are made of local Kaarma limestone and they were most likely commissioned by Bishop Johannes Kievel, whose coat of arms is situated heraldically on the right side of the composition, i.e. in the most significant place. Another relief, with the coat of arms of Bishop Johannes Orgas, is located in South-West wall of the chapel (Fig. 2). Since it is somewhat unlikely that two reliefs with the emblem of the same bishop would have originally been placed in the chapel, it can be assumed that this one was brought there later, and that it was initially walled in some other symbolic place in the castle, for example, above the gate or at a tower. Unlike the previous ones, the relief in the North-East wall does not depict episcopal but papal insignia: the tiara and the crossed keys (Fig. 3). Thus far, the coat of arms below these had not been identified. However, the charges on the field – five balls, in chief a larger one with three fleurs-de-lis – point to the famous Medici family. The shape of the shield is characteristic of the first decades of the sixteenth century. Thus, the coat of arms belongs to the first pope from the Medici family – Leo X (r. 1513–1521). The relief is also made of Kaarma limestone and most probably commissioned by Bishop Kievel. There could be various reasons for including the Pope’s coat of arms in the spatial programme of the chapel: first, Kievel, who had been in Rome in 1513, could have had personal relations to the curia; second, the emblem of the Pope could help to legitimate the power of the local bishop, added social prestige and expressed loyalty to the Holy See. Kuressaare Castle was and no doubt still is the most photographed building on Saaremaa. The basis of the present article is mainly photographs, picture postcards and glass negatives in the collections of the Saaremaa Museum. With repeated photographs not taken into consideration, there is 474 of them in the museum’s fund. This pictorial material is described first of all by the different views that have been taken of the castle and then also by photographers and publishers. The views of the Kuressaare Castle can conditionally be divided into four bigger groups: distant views of the castle, structures of the fortress (glacis, ravelines, curtains, bastions, the inner ward and the convent house). Distant views give relatively little information, because in them we can only see the towers of the castle and the roof. Most of the distant views have been taken from the side of the sea. Of structures of the fortress the Northwest raveline and the moat as well as the West Bastion and the Northeast raveline have been perpetuated. This is understandable, because people going to take mudbaths or to the sea passed there. But the main route went from the Northeast raveline to the fortress. The oldest and most interesting photographs of the structures of the castle are from the West bastion (Photo 3) and of the Northeast raveline (9). In the castle yard the buildings there have been photographed, but also the well with the wheel and the gate. The castle has been photographed both from the grounds as well as from the curtains and the bastions. Of the older photographs the most noticeable are those of the northeast facade of the convent house (19) and from the North Bastion (25). Of the photographs taken of the inner yard of the Convent House the most interesting ones are those of the earlier stairs (26 and 29) as well as of the memorial tombstone to the Bishop of Riga, Albert von Buxhoeveden (1165–1229) (28). Of the local photographers there is the biggest number of view cards from Nikolai Königsfest (1872–1949), Martin Jakobson (1887–1934) and Aleksander Grünbladt (1851–1910). The pictures of taken by the latter are particularly valuable just because they have been taken before major building work in the territory of the castle. Of local publishers Otto Eduard Bughan (1859–1942) was the most fruitful. Of photographers and publishers who worked on the mainland Osvald Haidak (1890–?) has left us the biggest number of Kuressaare Castle view cards, but also the brothers Johannes-Georg Parikas (1880–1958) and Peeter Parikas (1889–1972) and the ERKA-Foto publisher. Views of the Kuressaare Castle can be found also in a couple of folders issued in Saaremaa in the 1930s. Houses built of wood have always been a slightly marginal issue in Kuressaare’s architectural legacy context but they still deserve so-to-say their own story. Wood as building material, however, has never been in disfavour here. The earlier stratifications of the city, which repeatedly suffered in fires, were largely built of wood. This was the case in 1427 when the settlement of Kuressaare was mentioned for the first time, as well as in 1563 when it became a town. This is confirmed both by parts of wooden structures that became evident in the restoration of the present houses, as well as by the map of 1641, the illustrations of which give us an idea of the types of buildings. As a rule, the small wooden cottages were built of horizontal logs and some of them were covered with vertical boarding. There are more concrete data available starting from the second half of the 18th century (as late as 1746 a major fire devastated the city and left little of the wooden buildings). The gallery of Kuressaare wooden houses is well fit to introduce No 9 Tallinna Street, which was put up for the governor’s residence in about 1780. The house, with Polish boarding characteristic to the period, represents transition from baroque to classical style: a high baroque hip roof dominating over its three mantle chimneys, while a classical balcony in the middle of the façade added the breath of a new age. Most of the earlier wooden buildings in Kuressaare may be brought under the common denominator of “hereditary Baltic residence”. The type of building with mantle chimney was widely used already in the Middle Ages but they were built even in the 19th century. The best examples are No 14 Lootsi Street in the one-time Tori fishery village, No 20 Suur-Põllu Street, No 39 Suur-Sadama Street, No 11 and No 15 Kohtu Street, No 1 Turu Street, etc. The obligatory classical type façades in the first half of the 19th century influenced little the wooden dwelling architecture because in that time building in stone was overwhelming – Kuressaare was the stoniest town in the Estonian territory, with nearly half the buildings put up of stone, while in Tallinn they accounted only of one third. The best examples of the most popular façades, No 22, are No 17 Tolli and No 35 Pikk Street. Side by side with the latter we also find one of the few examples of model designs that has come down to our times, No 99. But the most exciting example of the model designs period stands at No 3 Suur-Põllu Street – a design that is seldom met in Estonian cities. * So-called small citizen’s houses which were often in use only as summer houses. They had a relatively small floor area (less than 80 sq m), of one floor, with a rectangular ground plan and a gable roof. In older quarters we can see them put up among earlier buildings but in newer streets (Uus, Pärna, Allee, Transvaali, etc.) the houses of that type sometimes formed full-size ensembles. * Large one-storey dwelling houses with a rectangular ground plan and a superficies of more than a hundred sq m. The most stylish representatives are No 10 Väike-Sadama Street, No 60 Transvaali Street and No 1 Pargi Street. All the three buildings have in all likelihood been put up in the last decade of the 19th century on earlier built immovables as a new impressive dwelling-house. * Bigger two-storey historicist wooden buildings, mainly boarding-houses, generally built at the turn of the century or after that. Most of them were architecturally unpretentious, but also some architecturally more vivid boarding-houses were built, such as No 4 Pargi Street with little roof towers (instead of which an exact copy stands at the site today) and the historicist villas at No 16 Lossi Street and No 27, which belong to the absolute summits of Kuressaare’s wooden architecture: both have been perfectly restored by today. * Public buildings of seasonal use (Kurhaus, mud bath units, cafés, pavilions, etc.). Unfortunately the most impressive part of Kuressaare’s wooden architecture is only a memory today; all the mudbath units have been destroyed and the Kurhaus was restored as a copy in 1989. The years of the pre-World War II independence period were relatively modest from the building activity point of view. The importance of the city contracted as a popular health resort and the existing buildings sufficed for the modest county town. The most outstanding wooden building of the period was the bathing station (perished), built to drawings of the local city engineer, Eugen Haamer, and it belongs to the cream of the Estonian functionalism in wood. Also residential building remained relatively modest in the first Estonian independence period; I would only mention two buildings in the traditional style: No 29 Suur-Sadama and No 3 Uus-Roomassaare Street. In post-war Kuressaare small houses with a square ground plan and pavilion roof that are slightly reminiscent of pre-war functionalism became popular. On a more massive scale private houses with rectangular ground plan and simple gable roof with a which contrary to the previous type were put up in a very similar style nearly in all Estonian cities. The part of Kuressaare’s more valuable building legacy the share of wooden buildings is not overly big. In addition to the usual factors that influence preservation of wood (fire hazards, dampness damages, the fact that the buildings are of less importance, etc.) the bigger role of insect damages due to the island’s milder climate compared with the mainland is added here. The main problems of wooden building both here and on the mainland seems to be in the incompatibility of the perception of values. Two squares started to develop in about the 16th century in the new Kuressare city centre: the old market square in front of the Town Hall and next to it a green area with the War of Independence memorial. The article focuses on the development on these squares and particularly on rebuilding plans in the Soviet period, in order to show what the city centre could look if the then plans would have been carried out. We have described renewal of the vicinity of the historical squares in the last decades. intended to build a new imposing square as an extension to the old market square. From that square with a symmetrical plan straight and wide avenues were intended through the historical city regardless of the earlier buildings. There were plans to put up a statue of Stalin in the centre of the square and it had to be surrounded by institutions of Soviet power. Plans were made to demolish the buildings next to the old market square and instead of them three-story new stone houses were to be put up instead of them. The major rebuilding was not carried out, however, because Kuressaare’s historical centre was taken under preservation in 1973. By that time some new buildings slightly away from the central square (House of Culture, Department Store and the Communist Party Committee house) had been erected as well a monument to the revolution (so-called Upa men). In 1988 a bust of Viktor Kingissepp was added to the other green square. The monuments that carried Soviet ideology were removed from the centre of the city on the restoration of Estonian Independence. Although the Kuressaare old town is under preservation, its renovation is not prohibited. It is permitted to build new houses to the site of buildings destroyed in the war and their architecture must take into consideration the preserved valuable historical environment. Kuressaare is one of the few cities where the historical centre functions as the city centre until today.